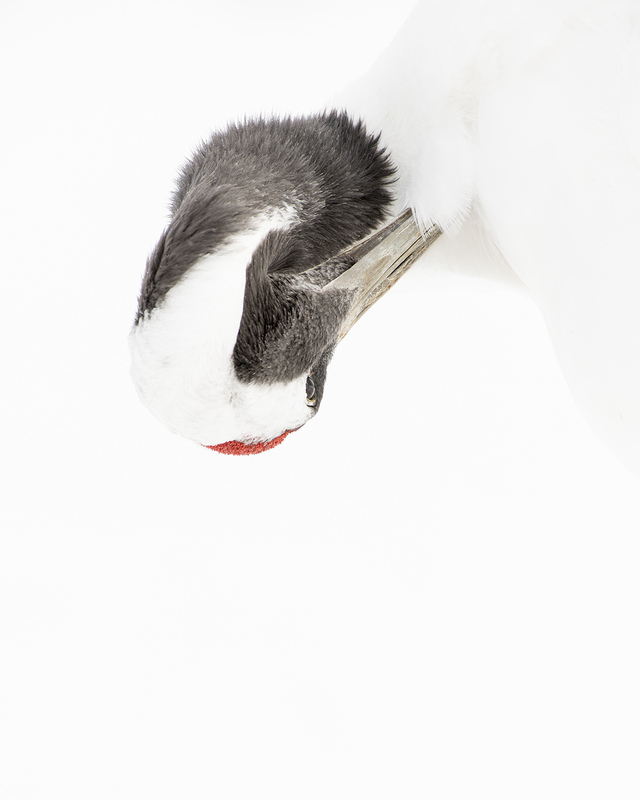 This Red Crowned crane was among many, but isolated with a longer lens it creates more impact within the frame than it might have surrounded by context. It’s been said that photography is the art of exclusion. It’s as important, in making a compelling photograph, to exclude what we do not want within the frame of our image, as it is to include what we want. In fact, when we include what we want without carefully excluding the rest we introduce too much to the image, and we dilute the impact of the elements we were hoping would make the photograph what it is. Honing this art of exclusion is a significant step forward on the photographic journey, and learning to isolate your subject is an important part of that. Here are a couple significant ways you can begin to isolate your subject, and give it greater power within the frame, undiluted by the noise of elements that do nothing to help you tell the story. The first and most obvious way to isolate elements with the frame is the intentional use of point of view. What appears and does not appear, in front of, around, and behind, your subject, has a everything to do with where you stand and put your camera. Yes, there are plenty of situations in which moving around will do nothing to get rid of background chaos or unwanted elements, but too often a simple change of position can move that unwanted element in relation to your subject. A little movement to the left or right, standing on a ladder or lying on your belly, can push those elements from the frame. Just playing with our point of view can improve an image with no other changes. Next time you’re photographing something take a little extra time to be aware of what is in, and out, of the frame, and try moving – do a complete circle around your subject if you have to – and see if you can’t strengthen your image that way. Using a wider lens (16mm) forced me to push in tighter, making the foreground larger relative to the rest of the elements, isolating it in a way a longer lens would not have done. Of course there are plenty of times that moving in relation to the subject isn’t preferable. Moving changes the perspective, and with it, the lines. Moving changes what the light is doing and if you’ve got your heart set on a backlit photograph, then moving 180 degrees will change the photograph completely. When that happens, it’s time to explore other options. The first one I try is a change of angle of view. Where a change of POV, or point of view, means a change of position of the photographer relative to her subject, a change of angle of view is all about which lens you choose. A wide angle lens, as the name implies, has an angle of view that is extremely inclusive – it pulls a lot into the frame. A telephoto, by definition, is a much tighter angle of view. The most obvious move in pursuing a more isolated subject is to use the longer telephoto lens, and that often leads to beautifully simple images, free from extraneous elements. Next time you’re trying to really isolate something, try backing up and using a longer lens. But that’s the next lesson, so I’m getting ahead of myself. It’s also not the only way to use optics to make a subject stand out. A wide-angle lens can also be used to isolate, though it’ll involve both a change of optics (put that wide angle lens on!) and a change in position (get as close as you dare!). A wide-angle lens pushed in close will still be a wide-angle lens and will still include more elements than a tighter, longer, lens. So how can that be used to isolate? Isolating an element is about making it more prominent than others, giving it greater visual mass, and diminishing distractions. When you push a wider lens much closer to your subject, in the right circumstances it does two things simultaneously: it enlarges the subject and diminishes the rest. When a longer lens doesn’t give you the look you’re hoping for, or excludes too much of the context, try going much wider and much closer. 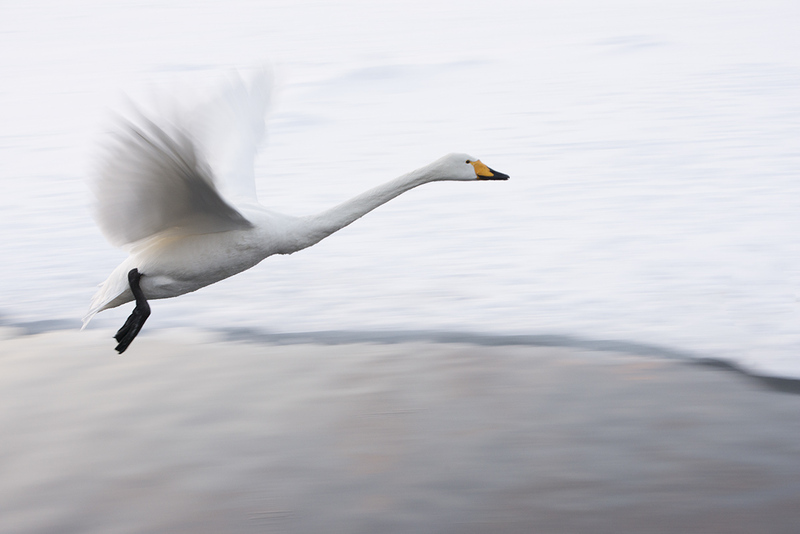 Panning with this Whooper Swan in Hokkaido, Japan, allowed me to both create a sense of motion, and to create a sense of isolation against a background that would otherwise have more visual pull. Sometimes the use of depth of field doesn’t help. And sometimes it just doesn’t give you the aesthetic you’re looking for. Motion can be a great isolator. When the subject is moving, you can use a slower shutter speed and pan the camera to create a sharp subject against a blurred background. When the subject is stationary, but it’s surroundings are in motion, you can use the reverse technique – keeping the subject sharp while the moving surroundings blur around them. Both techniques require practice, and a slow shutter speed. In the case of allowing the surroundings to blur around a sharp subject, you’ll also need a means to stabilize the camera, like a tripod. A friend of mine uses her handbag, others use beanbags or part of buildings. However you do it, the longer shutter speeds create blur of the once distinct, and distracting elements, and simplify them, allowing you to isolate – or more clearly point to – your desired subject. These aren’t the only techniques. You can use a shallow depth of field too, (I cover that in Lesson 10 of The Visual Toolbox. This is an excerpt from that book). Consider too, for example, the role of light and the ability to blow out a background or plunge areas into shadow. However you do it, the most important part of this lesson for some will simply be the awareness that intentionally isolated elements can dramatically strengthen a photograph, giving the main subject greater visual mass, and allowing other elements to remain outside the frame, gain reduced visual mass, or fade into blur. Look at a few of the images you love best, from other photographers, and for each image ask yourself one question: what role does isolation play in this image? You might also ask yourself what choices the photographer made to simplify this image and make it as strong as it is. Are there extraneous elements that distract? Isolation is all about simplify an image of unnecessary elements so the most important elements have the best shot at pulling your eye, your attention, and your emotions. This is Lesson 12 from my recent book, The Visual Toolbox, 60 Lessons for Stronger Photographs. I will be posting a handful of chapters in the coming month, but if you enjoyed this article and want more you can get the full book on Amazon. Tell the World! Share this Post. 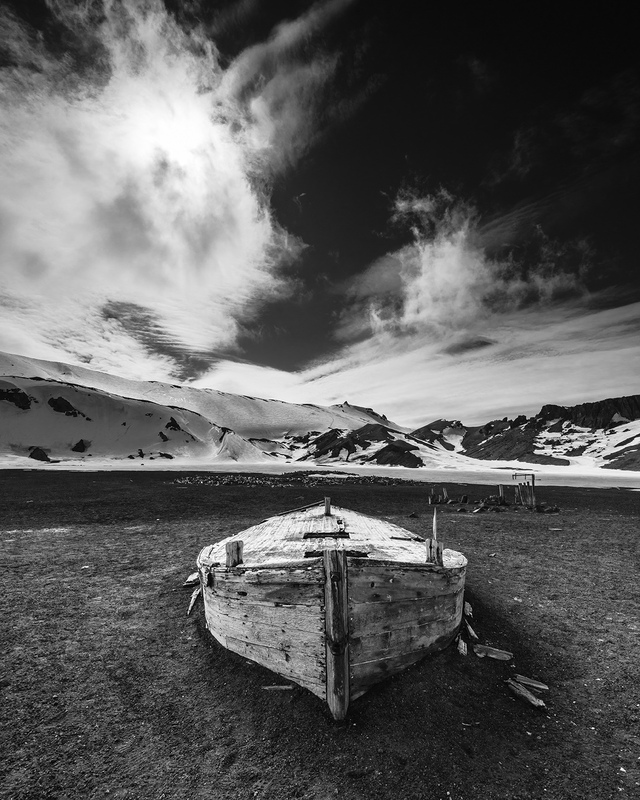 Love the images, the image with the old boat in Antartica is fabulous. Thank you (always) for expounding on this particular subject. You always find the best topics for us to explore. I also would like your take on making a photograph by isolating the subject once the photo has already been taken. Like when you’re in post processing you find that if you crop it a certain way it becomes something totally different or in this discussion…isolated. Would like your thoughts. 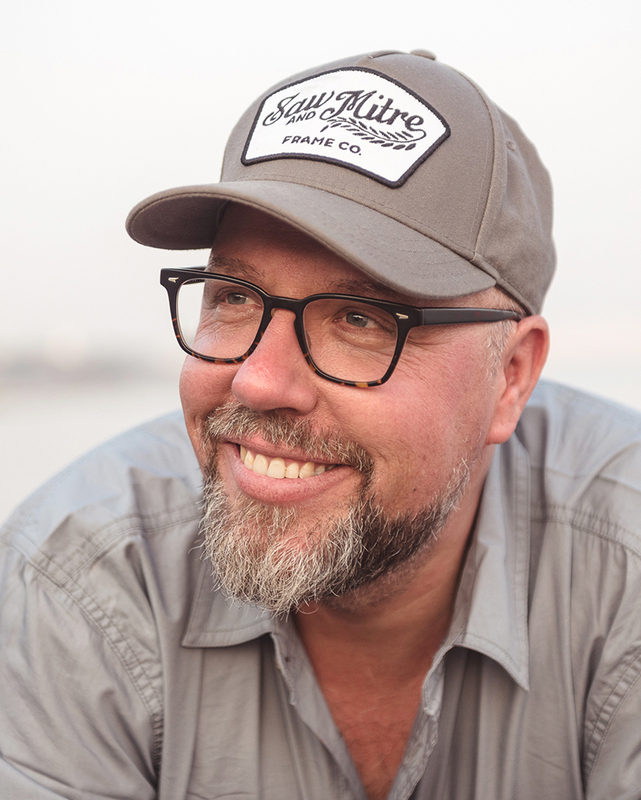 Also wanted to mention that I’m thoroughly enjoying your video chats…such great stuff! BTW, would love for you to weigh in on the discussion on my blog today…when someone does not like your photograph…interesting thoughts and comments from my audience! I love the simplicity of the images used to exemplify isolation – very inspiring.